The AHA Endorsement is the result of an extensive and rigorous process that begins with the identification of hospitals’ most significant market challenges and ends with the selection of the solution that best addresses them. Essentially…the AHA has done the due diligence, so hospitals and health systems can attend to the important business of taking care of patients! The passage of the HITECH Act and the publication of the Final HIPAA Omnibus Rule have made information risk management and compliance efforts a critical issue for health care providers. Covered entities, such as hospitals and health care systems, now need to take the necessary steps, to ensure they and their business associates are doing everything they can to keep protected health information (PHI) safe. Click to read a letter from the AHA to Clearwater customers, showcasing why they chose to endorse our solutions. View the full brochure detailing the due diligence process, endorsement criteria and why the AHA chose to exclusively endorse Clearwater solutions for the category of Privacy, Security, Compliance and Risk Management. AHA Solutions, Inc. is dedicated to serving AHA member hospitals by helping them identify the optimal solutions to their most pressing market challenges. Through the AHA Endorsement, along with educational programs featuring peers and industry experts, AHA Solutions supports the decision-making process for hospitals looking for partners to help with clinical integration, information technology, talent management, cultural transformation, financial sustainability, the patient flow, and other key challenges. If a data breach occurs, regardless of whether the health care provider or one of their business associates is responsible, a health care provider could be responsible for significant noncompliance penalties, damage to their reputation and worse — the loss of trust of patients they serve. To avoid data breaches and their associated costs — and more importantly, to protect patient safety and maintain high quality of care — hospitals must implement effective HIPAA compliance and information risk management solutions. 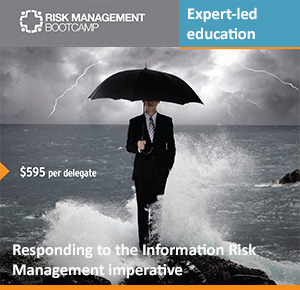 For greatest effectiveness, such a solution should facilitate the establishment, implementation and maturing of a comprehensive, ongoing information risk management program. After a thorough review of solutions designed to address the risks associated with the failure to safeguard PHI and other sensitive patient information, the American Hospital Association has awarded its exclusive endorsement to Health Care Information Privacy, Security, Compliance and Risk Management Solutions from Clearwater Compliance, LLC. Clearwater’s AHA Endorsed solutions enable health care organizations and their business associates to protect patient information by helping them establish, implement and mature their information risk management programs. Using proprietary software, technical tools, professional services, education and training, they help organizations understand the regulations, identify compliance gaps, determine information risks and make informed decisions about how to manage those risks. Software-as-a-Service (SaaS) model equips health care organizations to operationalize their compliance and information risk management program in order to make sound decisions on an ongoing basis. The software allows an organization to evaluate its compliance with HIPAA regulations, perform a thorough risk analysis, document results, capture notes, store documents, create a detailed plan to address compliance gaps and/or respond to identified risks, manage completion of remediation, and record and report progress over time. By-the Regs – Clearwater’s tools and methodologies rigorously follow the regulations and all relevant HHS/OCR guidance, including the underlying National Institute of Standards and Technology (NIST) security framework, upon which the HIPAA Security Rule is based. Education and software training enable hospitals to maintain their compliance program and identify and manage their information risks without the ongoing assistance of a third party. Sole focus on health care. The team includes veteran health care executives and professionals with extensive experience in information risk management, HIPAA, HITECH and other health care regulatory areas. We deliver Bona Fide Information Risk Analysis and HIPAA compliance assessment services. Hundreds of organizations save thousands of dollars each year by using our software to manage their information risk and compliance programs. Mature your information risk management program with solutions developed by seasoned experts to meet hospital needs. The process begins when AHA Solutions issues a request for information open to all players in the field to submit their solution for consideration. AHA Solutions reviews all submissions to narrow the field to the top candidates for AHA Endorsement consideration. After in-person presentations, extensive reference checks and a thorough review, AHA Solutions awards the Endorsement, typically for a one- to three-year term. The AHA then works with the organization to educate member hospitals on the challenge at hand, and how the Endorsed solution can effectively address it. At the same time AHA Solutions promotes AHA Endorsed solutions to hospitals, it also works with the solutions’ vendors to help them understand, and better address, hospital challenges. The organization works to bring vendors and hospitals together to overcome obstacles and deliver better, more efficient, higher quality care. When hospitals select a product or service that has earned the AHA Endorsement, they can be confident it has met the AHA’s highest standards.